Welcome to Day 1 of our Christmas in July blog hop! Get out of the sun, crank up the air conditioning, turn on the Christmas carols and get in the mood for some holiday inspiration! 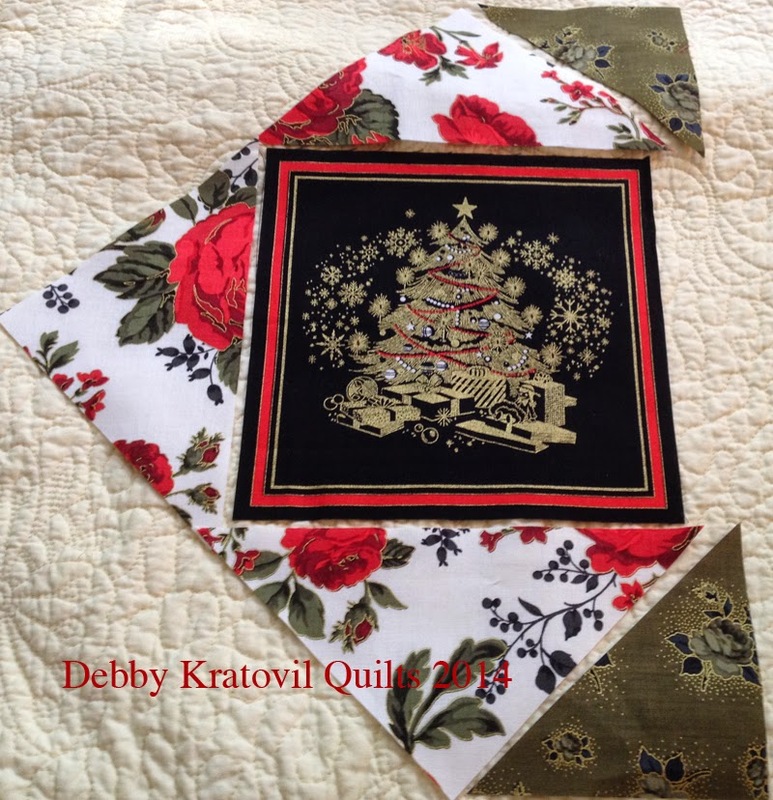 Today Debby Kratovil of Debby Kratovil Quilts is sharing not just one, but three different ideas for the classic gold-accented Season's Greetings collection. Enjoy! Yes, I know it's summer, but Christmas is just around the corner, right? 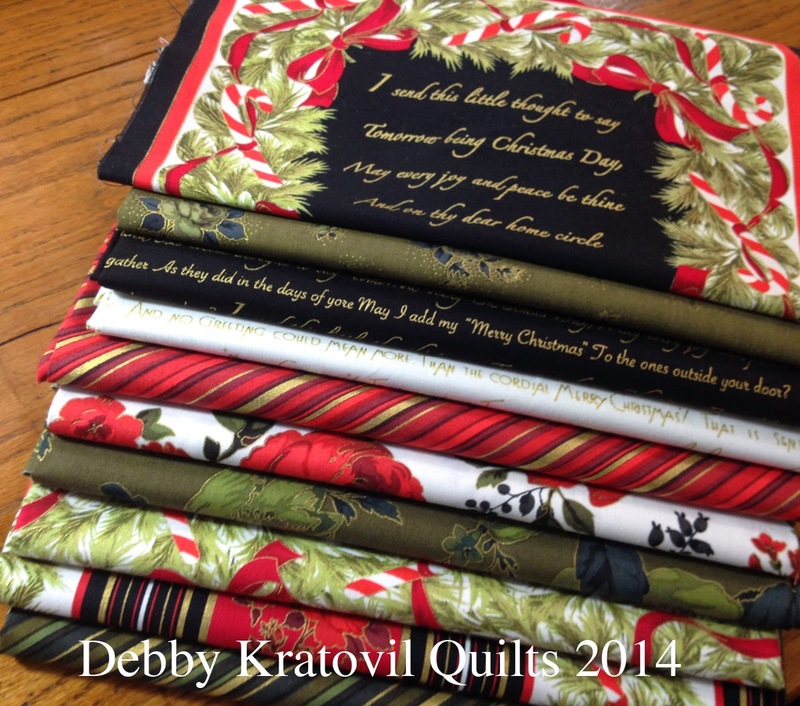 Well, the holiday fabrics have arrived in the quilt shops and a fabulous collection is Season's Greetings. It includes wonderful panels with beautiful motifs and words that make them look like expensive holiday cards. That got my creative juices flowing. I LOVE panel prints. All 3 parts cut 7-1/2" x 7-1/2"
I used a gold colored rayon thread to quilt the panel and the batting. Here are two of the greeting cards I made . . . I didn't stop there, though! My mind was going in all directions and actually started several separate projects. I have a weak spot for any fabrics that have gold etching. These are just so rich and color drenched. I decided to revisit a pattern I created several years ago that can either be a large placemat or a candle mat to protect your table. I cut out two more panels that have black backgrounds and gold printed designs - a tree and bells. You can find the cutting measurements below. The key is to select fabrics with good contrast, especially the fabric that will touch the black panel. 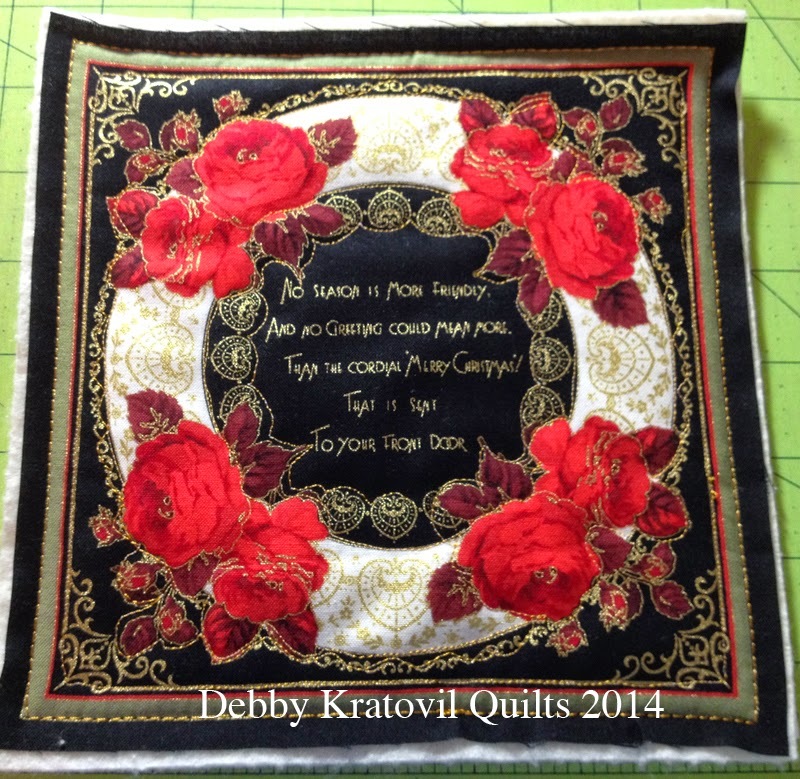 I chose the large scale red and white roses fabric for this. These are cut from 8-1/4" squares (see the diagram above). 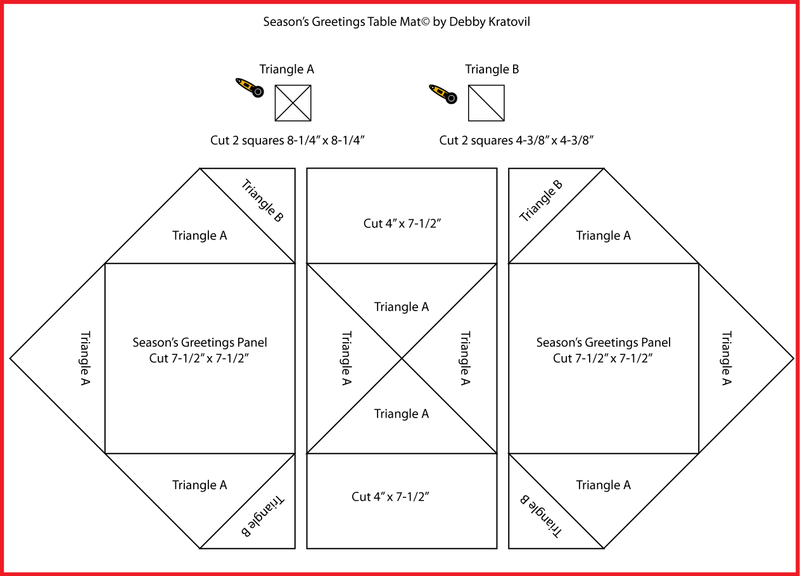 The green floral triangles are cut from a 4-3/8" square. 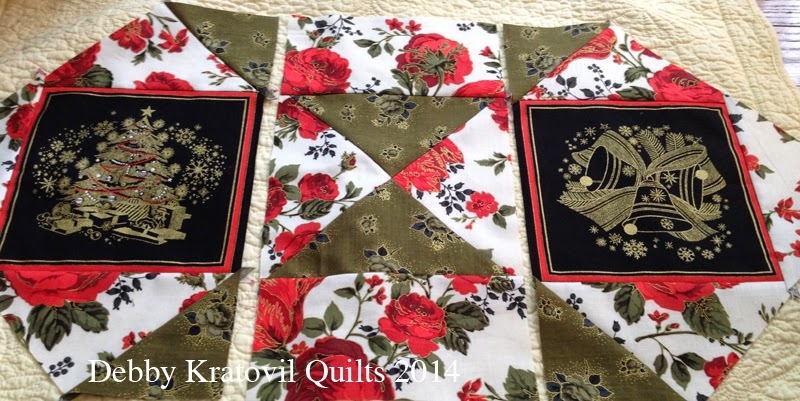 Notice that the rose fabric squares are cut TWICE on the diagonals and the green squares are cut ONCE on a diagonal. And how does it look all together? First, the sections . . .
And with this awesome striped binding . . . I did one last thing which I'll give you a sneak peek of. This is a Lone Star block from my book Supersize 'Em Quilts and will be an independent pattern soon. But I thought you'd like to see it as I was starting to quilt it at the local quilt shop who also is a Handi Quilter dealer. See the panels in the four corners? I trimmed them a little, down to 6-1/2" square and they make an awesome statement at the end of those triple stripped borders. I took that center strip from the fabric that is a border print. This collection has so many possibilities, as you can see! Would you like to win a fat quarter bundle of the Season's Greetings line? It's easy! Simply sign up to follow the Benartex blog (use the email or Bloglovin' buttons in the right hand side bar and leave a comment letting us know that you do. 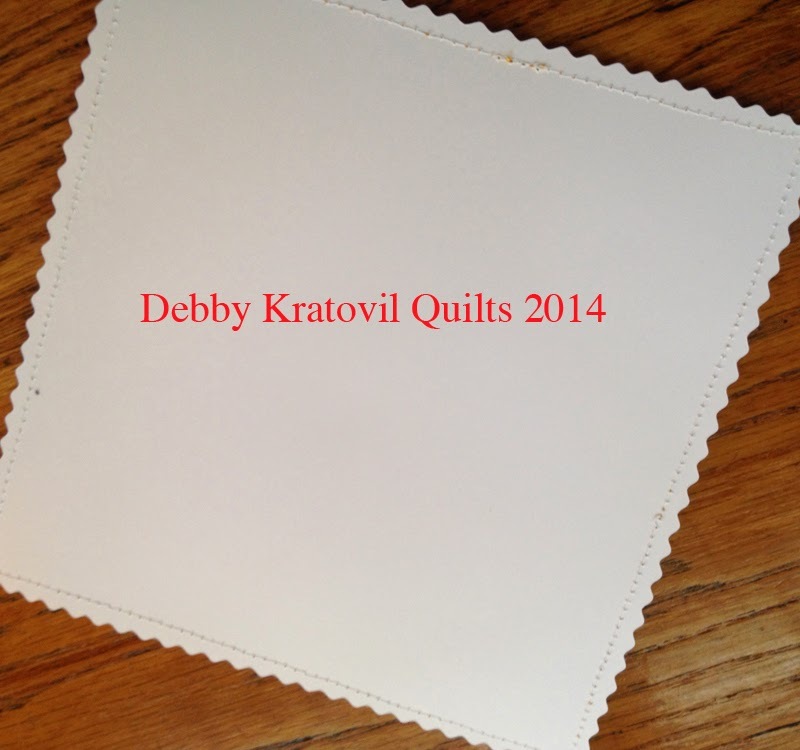 In the comment, let us know--have you made fabric postcards before? For a second chance to win, follow our Sew Interesting page on Facebook and leave a comment here letting us know you do. The giveaway is open through Saturday, July 26 at 11:59 EST and the winner's name will be randomly selected and announced next week on the blog. 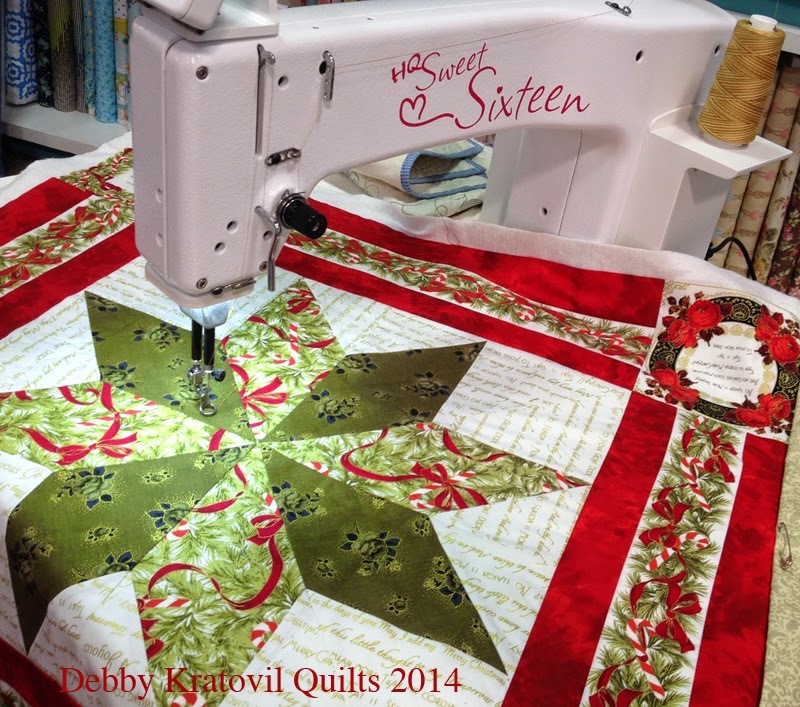 And be sure to head over to Debby's blog to see more of her creative ideas! Be sure to visit our other holiday-themed tutorials this week! i follow benartex with bloglovin'. I follow via bloglovin... Never made postcards before - they look like fun! I like Benartex on fb... Is that the same as Sew Interesting? I follow with GFC - I have made fabric postcards before (still do). I follow with Bloglovin! I have never made a fabric postcard before, but it is an intriguing idea that I think I will have to try! Thanks for the chance to win! I follow your email, your Facebook, and get the preview packs, but I've never done a Fabric postcard. I received one last year and would love to try it though! I follow with e-mail. I have made one fabric postcard and plan to make more. Debby, these are wonderful and with the holidays fast approaching, I think I need to get busy on gifts. The fabric collection is gorgeous. HAPPY TO FOLLOW BENARTEX ON FB! NO, I HAVE NOT>SOUNDS INTERESTING! HAPPY TO FOLLOW YOU VIA GMAIL+BLOG LOVIN'! Thanks for the giveaway. I follow via GFC. Debby's projects are awesome. I have never made fabric postcards. I had planned on making some last Christmas, but time got away from me so I was too late. Maybe this year? I follow on email. I haven't made a postcard but I have received one and they are great. I follow you via email !! I've never made a fabric postcard before! I follow on email. I haven't made any fabric postcards, but this tutorial has given me a great idea! I receive your emails. I have never made a postcard before but have always wanted to. These directions might get me going! I have liked Sew Interested on facebook already. I follow by email. I have never made a fabric postcard before, but it looks like fun! I have not made a fabric postcard before but I have made an Artist Trading card in fabric. So much fun! Love the color & especially the gold! I follow via e-mail. I have already been following on FB. thanks for the opportunity! I follow Benartex via email and with Bloglovin so I don't miss a thing! I have never made fabric postcards but it sounds like a fun idea. Thanks for the chance to win! I follow you by email. I have made fabric postcards and think they are fun to make and to receive. Email for me. Love those fabrics. I follow Benartex on facebook and I also follow Sew Interesting; actually it says I am a member. FYI: there are many Sew Interesting facebook pages. I follow Benartex by email. 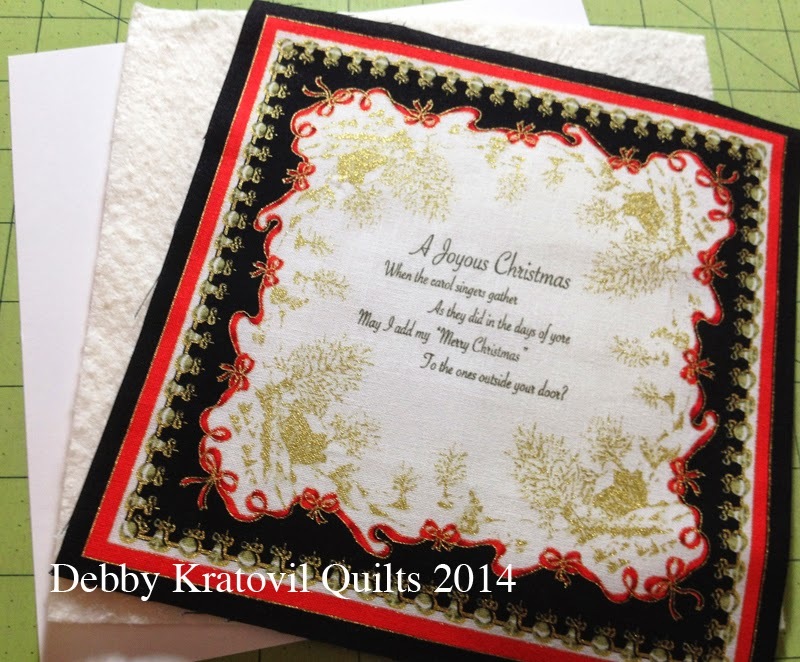 I have never made a postcard, but it looks like an quick and easy Christmas gift. Thanks! I follow on bloglovin'. 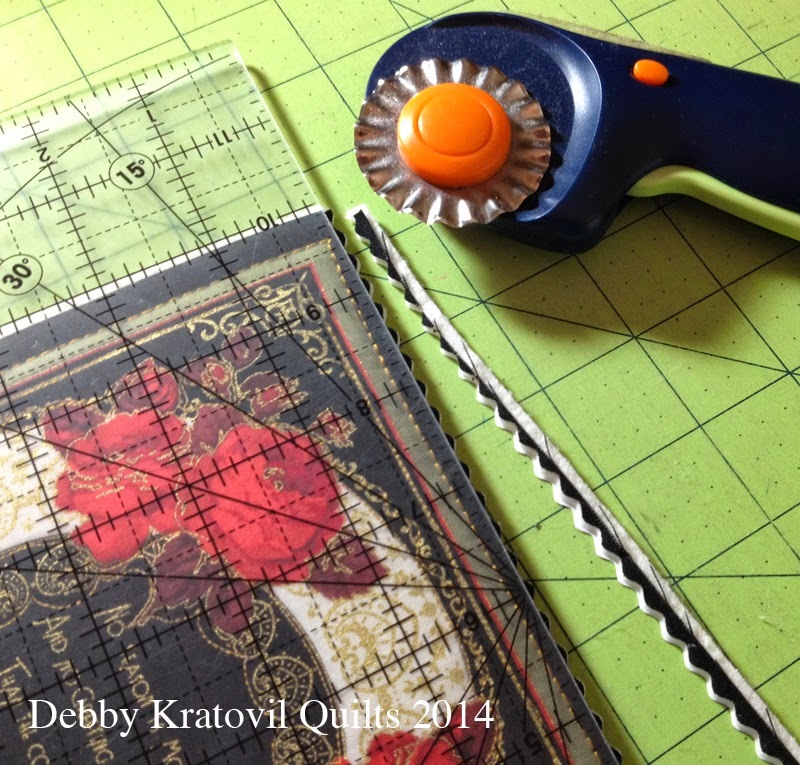 I've never made fabric postcards before, It never occurred to me to try until I saw this post. The use of the panels in these projects is exceptionally clever! Love them! Thanks! I follow your blog via email and GFC. I have never made fabric postcards but it looks like a cute idea. I have made postcards in the past. Love the ideas for panels and like working with them. I follow by email. Thanks for the great fabric. I am an email follower. Thanks so much for sharing. I have made some fabric postcards. They are great, so unique and quick to do. I follow both Benartex and Debby via e-mail. I've never made fabric postcards but did start one long ago. I got as far as cutting out Timtex and a print for the front, but I didn't go any further. Too chicken for some reason. I've only ever received one fabric postcard and that was after whinning to a lady who swapped postcards online that I'd never gotten one. She felt sorry for me and sent me one for Christmas a couple of years ago. I still have it hanging on my wall. I follow up your blog Debby's...love it! How did you like the SS? I am already a follower of Benartex blog. I signed to follow on Facebook. I have never made fabric postcards but they are gorgeous with this fabric line. I have never attempted to make fabric postcards but Debby's tutorial made this look easy and you're thinking that you can do this yourself. Great tutorial and thank for the chance to win.I am a longtime follower and always enjoy my visits. They are very helpful and full of great ideas. I am already following the blog with GFC. I have never made fabric postcards. I am following on FB. I follow via Bloglovin'. 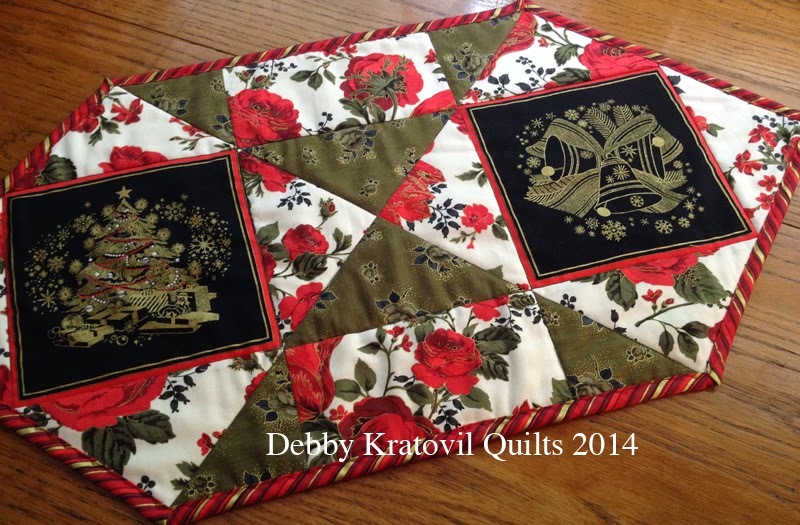 Debby's quilt is gorgeous! I follow Sew Interesting on FB. I haven't tried to make a fabric postcard. I signed up to follow your Sew Interesting Page on FB. Thanks for the chance the project is lovely. I follow both blogs,Bernatex and Debby by email. I`ve made fabrics postcard but din´t love my results. I follow the sew in love blog and love it. I follow by email and bloglovin I have never made a fabric postcard but it looks wonderful. I subscribe through Bloglovin. I have made a couple of postcards. Not many. I am following on FB too! I follow by email and Feedly. I have made fabric postcards, usually with machine embroidery. I can see that using fabric with panels would be spectacular. 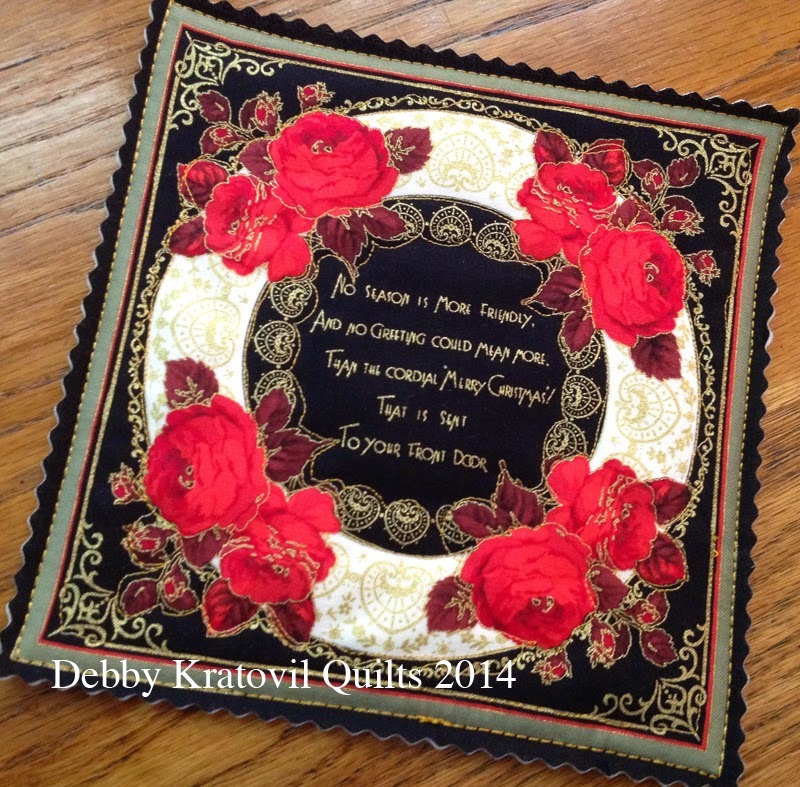 I've never made fabric postcards but love what Debby did. All her projects are so pretty. I am a dedicated follower via Bloglovin. I follow by email. I have made several postcards usually for milestone birthdays and anniversaries. Thanks for offering such an awesome giveaway. I follow thru Email & Bloglovin too! :) I don't do the FB, Twitter, etc etc stuff...so thanks for this chance to participate in the Give-a-way! No..have never made a fabric Postcard...but yours are Beautiful!! I follow thru Bloglovin ! I have made one postcard, doing machine embroidery, I didnt feel very confident. Your tutorial made it look so easy, thank you for giving me a chance to win. I have made a fabric postcard. They are fun and fast to make. Great idea for Christmas cards. I follow by email. I have not made fabric postcards. I follow by email. Love the Christmas fabric. I follow this blog with bloglovin. I've never tried to make a postcard but these are lovely! I joined Sew Interesting on FB. I follow this blog on BL and by E-mail. I have made Postcards but it's been awhile. I might make some again. Great idea for a greeting card, wonderful keepsake!! I am already following on Facebook!! I am following the blog via Bloglovin'!! I am a follower on Bloglovin, great Blog. This fabric line is beautiful and the projects are great. I would love to win the fat quarters! I am following with email. I've made many fabric postcards. It's always fun to receive one in the mail. I've never made fabric postcards, but now I want to! I follow Benartex via email. Those are really cool. I signed up. Sew Interesting on Facebook. Love your fabrics! 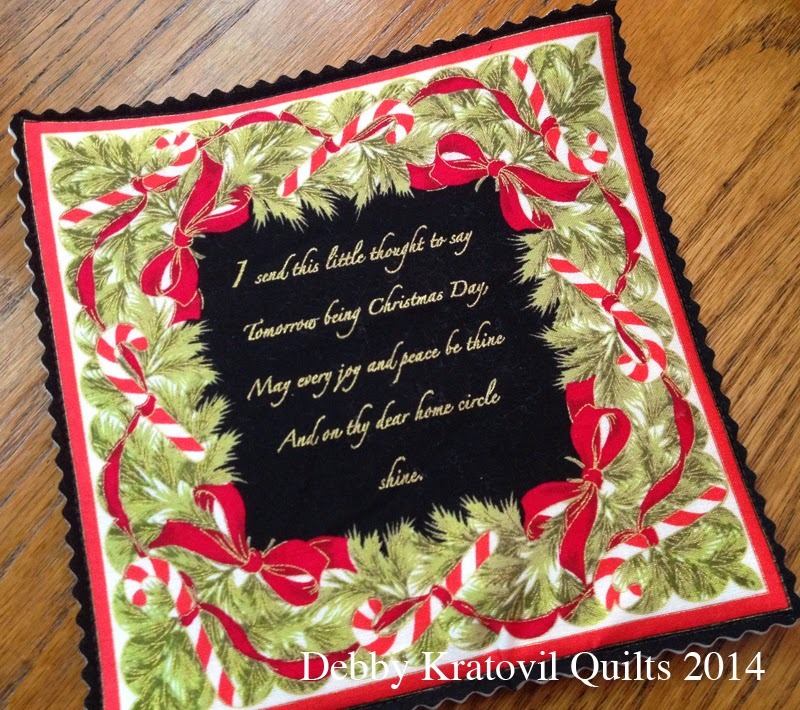 I haven't made fabric postcards but have seen many creative ones on blogs. I've never made a fabric postcard. I follow your blog with Bloglovin. I follow by e-mail and bloglovin. I have made postcards. They are really fun to do. Great ideas on both. Love the card idea. I follow both blogs by e-mail. 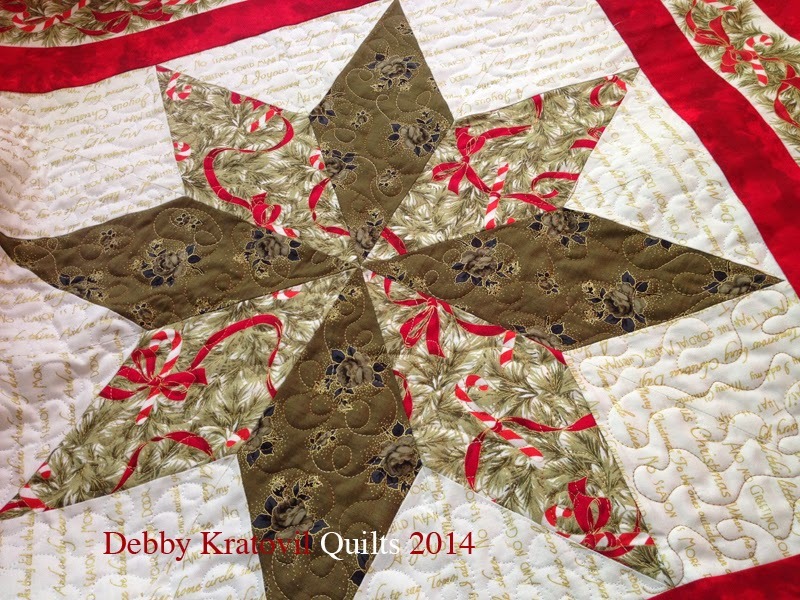 Debbie-I love the idea of the enlarged star. Anything that saves time, is my mantra and the fabrics are fabulous! I follow you / Benartex on bloglovin. I haven't made fabric postcards before. I like the panels with wording - I like the look of quilts that have writing on them, but have been anxious that my handwriting isn't up to par. This seems to be a good way to deal with that. I already follow the Bernatex log via email. And, I have never made postcards before. The only fabric post cards I have made were done with pre-printed panels. I love how you used the Season's Greetings panels! I followed Sew Interesting on FB. I have not made fabric postcards before. Yours are very pretty. I follow Bernatex on bloglovin. I follow with bloglovin , I have made many fabric postcards and just love them . I have never made the cards, but it is a cute use of the fabric. I love this little quilt. 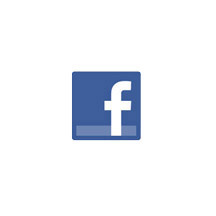 I like you on Facebook. I've made a couple of fabric postcards. I follow via email. I am following your new FB page. I follow Benartex via e-mail. I have not made fabric postcards yet. I follow the blog via email. I have never made fabric postcards. 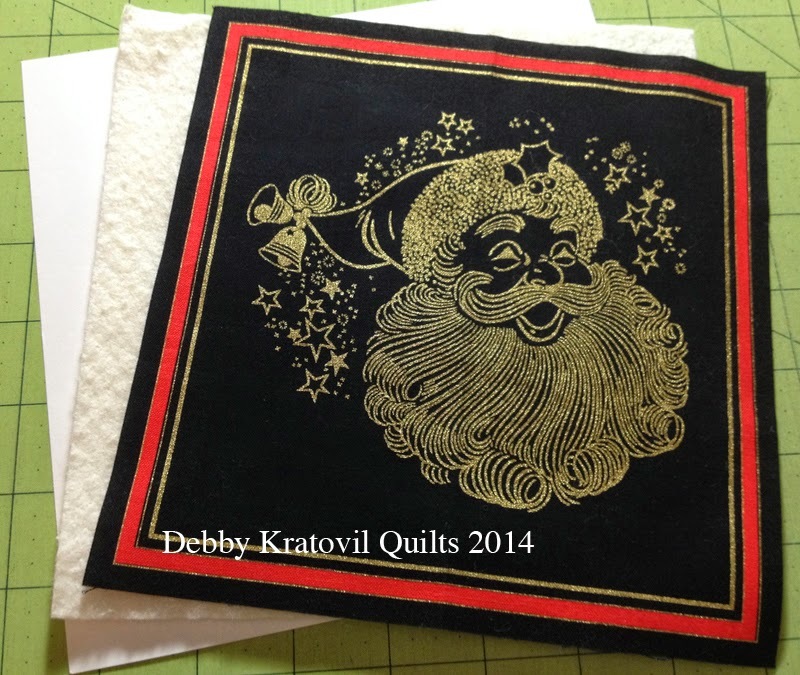 Last year I made some Christmas fabric postcards using tuts from Lori at the Inbox Jaunt for my inspiration. They came out sew cute. I have never made fabric postcards! I had not even heard of these before :) thanks! I have never made fabric postcards before. Oops I forgot, no I've never made fabric postcards. Love the use of the panels though. I already follow on Bloglovin' and also via email. I've never made any fabric postcards at all and actually, I've never seen any in person either. No I have never made fabric postcards but those cards are giving me pause. I follow this blog on Bloglovin:. I LOVE that lone star block!! !